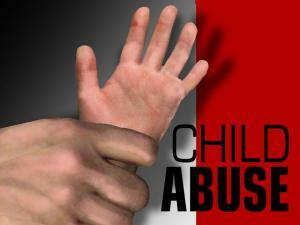 The Facts – What Is Child Abuse In California? Chaining your son to a tree by the ankles and forcing his legs into one side of a pair of shorts is the easy case of child abuse. The irony here is that even that extreme measure was not enough to prevent the boy from getting free and running away. Irma Navarro was a single mother who had to leave her son to work – often coming back very late at night. Her act in chaining up her son was the sad result of ignorance and frustration – as it was obvious to all that she loved her son desperately. Working hard as a house cleaner – she saw this extreme act as her only alternative because she could not afford a babysitter for two of her three children. As a result of her crime – as is most often the case – all of her children were taken by child protective services and she was charged with “willful cruelty to a child” under California law. First – what was in the mind of the accused at the time of the act? Second – what was the resulting injury? The issue here – are the limits placed on caregivers, such as parents, teachers and babysitters. In Colorado – even having children exposed to a caregivers use of drugs – can be charged as child abuse. The legal demarcation between legally permitted parenting based discipline and child abuse is blurry at best. The physical punishment as discipline that I experienced as a child would be child abuse today and certain cultural methods of discipline are no longer tolerated in our hyper-protective world. What you may consider as normal discipline can result in an arrest, charges, and the seizure and removal of your children. You need to contact an experienced lawyer in this field to protect your rights. Waiting – assuming your “truth” will at some point become obvious to all – is naive. Teachers and other professionals – more than ever – must be sensitive to the overreaction and the “moral outrage” that all members of law enforcement – the police, the DA, the judges, the system itself – experience and then visit on those charged with child abuse. Juries react viscerally at trial after merely hearing the charges read to them. The consequences are serious and may impact the rest of your life.